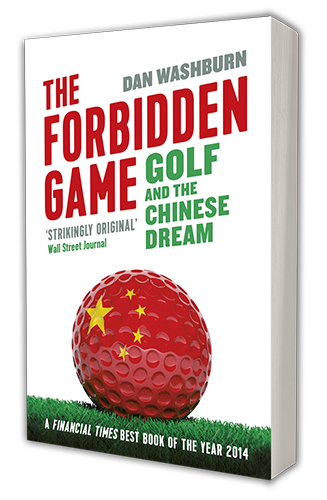 What were your first interactions with golf like in China? Did you play much while you lived in Shanghai? I actually don’t golf, so it’s a good thing my book isn’t a how-to. My first interactions with the game in China were as a reporter. One of the first tournaments I covered was the inaugural HSBC Champions in Shanghai, notable because it was Tiger Woods’ first time competing in an official event in China. I was on assignment for ESPN.com and wanted to do something a little different than the other journalists crowding the media center. So I left. I walked beyond the gates of the golf club in search of a story. It wasn’t long before I happened upon a community of migrant workers, many of whom were on forced unpaid leave from their jobs at a nearby door-and-window factory because tournament organizers didn’t want the manufacturing noise to affect the golfers. The contrast between these two neighboring worlds was striking. A membership at Sheshan International Golf Club was $148,000 at the time; furnished villas were going for $2 million. Meanwhile, these villagers were living in shacks. If anyone was looking for a vivid illustration of China’s yawning income gap, there it was. Not surprisingly, no one I talked to outside the golf club had any idea who this Tiger Woods guy was. Filed under Blog, Featured. Tagged interviews, new york times, sinosphere.